← Will this get me thrown out of the fan club? 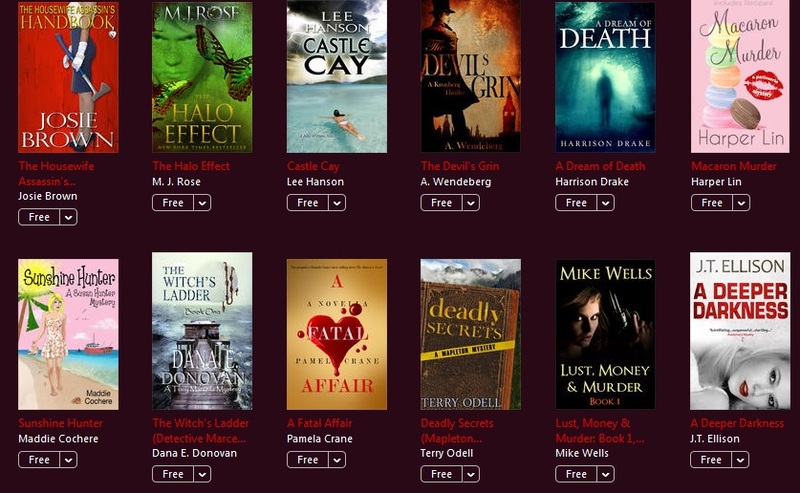 The Australian iTunes store is offering 66 free ‘first in the series’ crime/mystery novels this weekend. This should appeal to a trying-to-be-frugal fan of the genre like myself. Problem is, at first glance there’s nothing I want to read. I’ve only heard of two of the books and have already read one of these (Teresa Solana’s A NOT SO PERFECT CRIME) and own the other one though have not read it yet (Ben Pastor’s LUMEN). Without doing a modicum of research choosing from the others would be basically picking the covers I like (which we all know is not how it’s meant to be done). What to do? Download all 64 of the freebies and worry about whether they are any good later? 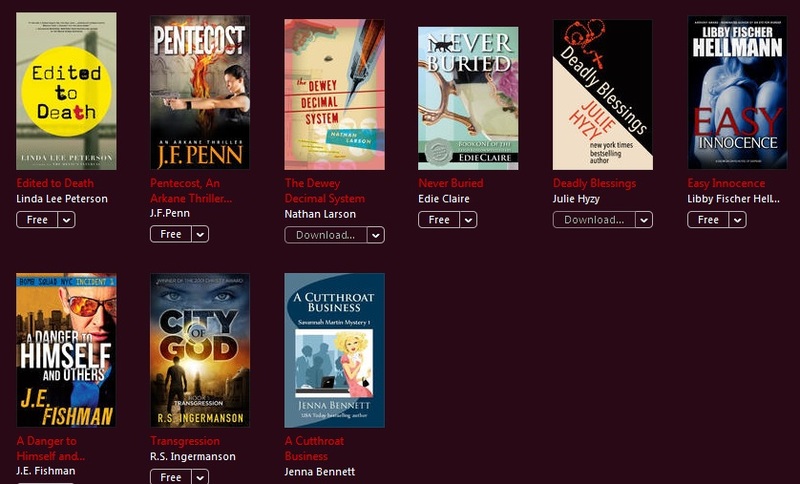 Download none of them since I already have a gazillion (ok, 170-odd if you want facts) unread books? I’m leaning towards the second option even though I can hear my dad’s voice in my head urging me to take the freebies (he would never knock back free stuff). I’m more inclined towards the “there’s no such thing as a free lunch” view of life and am not sure I want even relatively inoffensive digital clutter in my life. What about you? 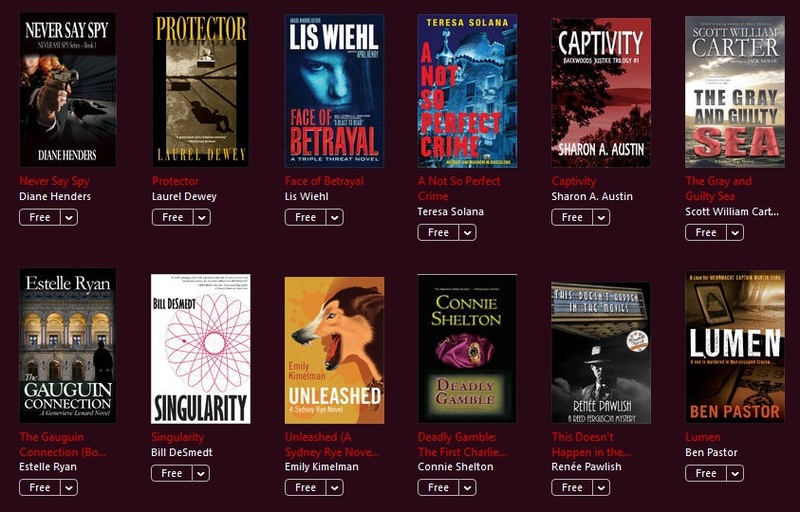 Are you a fan of free books? Or do you find yourself being overwhelmed by the array on offer? Of course if you can recommend any of these based on something other than an eye-catching cover please do. Bernadette – Wow! What a great selection! 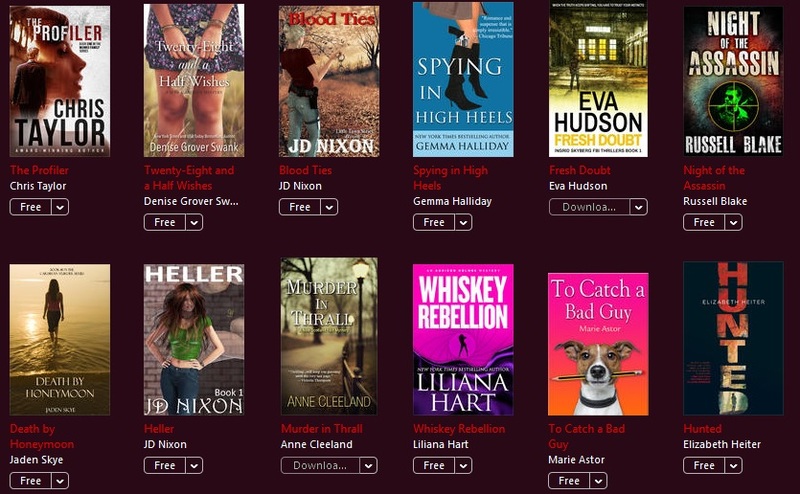 To be honest, I would probably cherry-pick and only choose some that I really want to read. I just know that I will never be able to read everything that I want to read, so it’s easier on my guilt-nerves if I just choose what I honestly, really want to read. I’m passing on this. I still haven’t read the ones I downloaded in their Aussie first-in-a-series offering. I have heard of two of the authors, but know nothing of the specific books. I read one book by Eva Hudson in another series and liked it. I have downloaded the one shown in this set, Fresh Doubt. I have read good things about M.J. Rose, but the subject matter of her books never appealed to me. 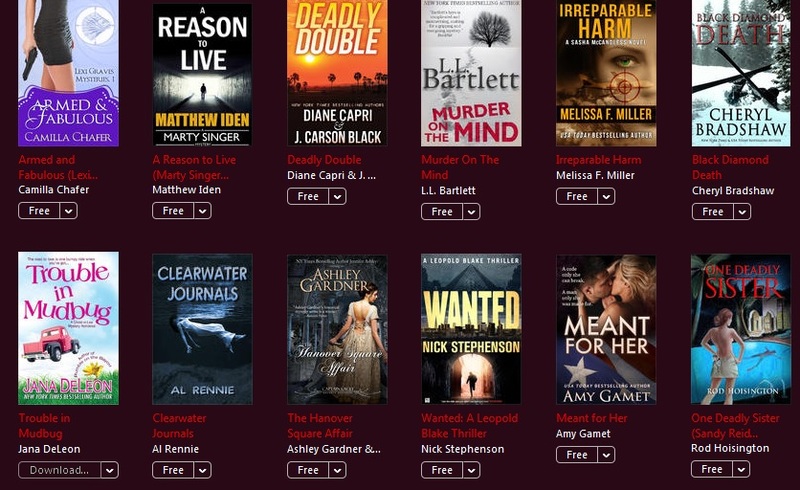 I would probably not download the books because I already have so many ebooks to read; but you never know if you will find a new great author. Singularity by Bill DeSmedt is topnotch, and well worth your time: it’s a book I love. I gave it a rave review when it came out, and was fed up when it didn’t get a Hugo nomination, which I thought it richly deserved. That said, I guess it’s more of a technothriller than a straight sf novel, so maybe that’s why it was overlooked — I know it’s been generally marketed as a thriller. If it’s free, I’d grab it with both hands. Bernadette – “So many books and too little time” – I would pass!!! I wouldn’t download all, but definitely cherry-pick only. I think I have two of these on mine L. L. Bartlett and Eva Hudson….not read either yet. That’s some offer. Definitely cherry-pick! I used to like having many books piled up to read, it made me feel safe, I didn’t worry about running out. Now I have gone in the opposite direction, I really want to get rid of the burden of the TBR pile.